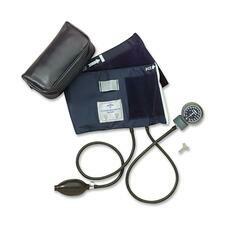 Sprague Rappaport Stethoscope incorporates versatility into an excellent, sound-transmitting device. The included component kit includes two sets of eartips, large and small diaphragm, adult bell, pediatric bell, and infant bell. The dual 22" (56 cm) tubing design transmits even the faintest sounds. The stethoscope is latex-free. Handheld aneroid sphygmomanometer features a luminescent dial that facilitates reading over a wide range of lighting conditions. Shatter-resistant acrylic faceplate surrounds the luminescent dial. A durable zinc-alloy shell ensures protection, and the field adjustability provides exceptional long-term accuracy. No-stop pin action provides visual calibration check and added accuracy. Nylon rangefinder cuff delivers quick, convenient patient fitting. The Nite-Shift Premier handheld aneroid (PVC) is designed for adults and includes a carrying case. 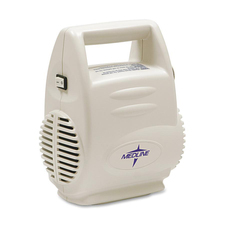 Aeromist Plus Nebulizer Compressor offers a sturdy shell, compact design and convenient cord storage for reliable asthma management. Molded handle makes the nebulizer easy to pick up. Sturdy design also features break-resistant hinges. It remains stable when lying flat on four nonskid rubber feet because of its low center of gravity. Small footprint easily fits on small surfaces. The cord conveniently stores inside the shell when not in use. Nebulizer emits particles less than 5 microns in size. Maximum solution capacity is 10 ml. The Aeromist Plus operates from 50 degrees to 104 degrees Fahrenheit (10 degrees to 40 degrees Celsius) and with a humidity up to 95 percent noncondensing. 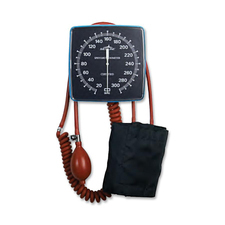 Large, handheld aneroid sphygmomanometer features a luminescent dial that facilitates reading over a wide range of lighting conditions. Shatter-resistant acrylic faceplate surrounds the luminescent dial. A durable zinc-alloy shell ensures protection, and the field adjustability provides exceptional long-term accuracy. No-stop pin action provides visual calibration check and added accuracy. Nylon rangefinder cuff delivers quick, convenient patient fitting. The Nite-Shift Premier handheld aneroid (PVC) is designed for adults and includes a carrying case. 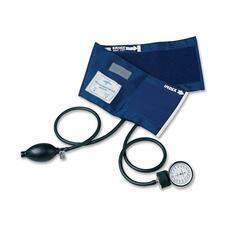 Handheld aneroid sphygmomanometer features a lightweight, portable and durable design. The nylon rangefinder cuff is designed to fit quickly on patients and save valuable exam time. The field adjustable aneroid also offers a no-stop pin action for visual calibration checks that ensure accuracy. Bladder, 20" tubing and bulb are made of economical PVC. Handheld aneroid is latex-free and includes a zippered carrying case. 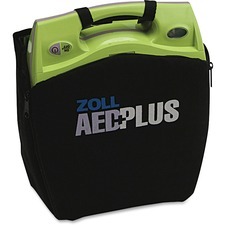 Carry bag is designed for transporting with the Zoll AED Plus. Keep the automated external defibrillator handy when traveling with the soft carry bag. Use the pockets for storing an extra set of electrodes and a sleeve of batteries. AED Plus Black Carry Bag includes a shoulder strap for easy carrying. Wall-mount aneroid sphygmomanometer is specially designed for easy reading and extended service area for more convenient use. Large, raised numbers and a luminescent coating that glows in the dark make the Nite Shift Wall-Mount Aneroid easy to read in almost any type of lighting. Pivoting bracket allows viewing gauge at all angles, and 8' (244cm) coiled tubing extends your reach. Neoprene aneroid is designed for adults and includes a quick-fitting nylon Rangefinder cuff for adults, bladder bulb and valve. Inflation system and bulb assembly store easily behind gauge. 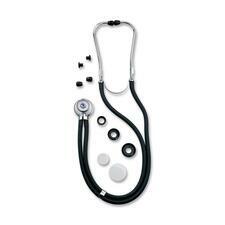 Stethoscope is designed for adults and offers unsurpassed quality. 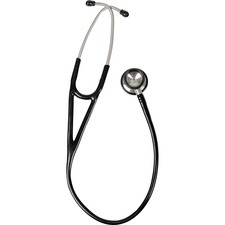 Stethoscope is hand-crafted from high-tensile strength, German stainless steel. Color-coordinated nonchill ring provides excellent patient comfort. Tubing is 22" (56 cm) for easy use. Stethoscope comes in a foam-lined box with one extra set of ear tips. 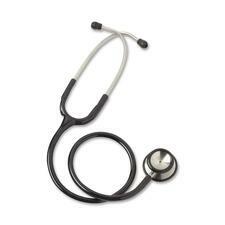 Cardiology Stethoscope offers unsurpassed quality and is hand-crafted from high-tensile strength, German stainless steel. Deep, cone-shaped bell provides excellent sound transmission and acoustic sensitivity. Color-coordinated nonchill ring provides excellent patient comfort. Tubing is 17" (44cm). Stethoscope comes in a foam-lined box with one extra set of ear tips.